The most obvious change is the theme of cops & robbers. It may seems like a cosmetic skin over a typical Battlefield game, but it drastically changes the feel of the entire experience. All of the vehicles are modern, players are dressed in either street clothes or police uniforms instead of camouflage, even the radio in vehicles blasts music that you wouldn't expect in a Battlefield game. The whole theme really makes the game seem fresh. You aren't running around through mud and forests, but are instead rolling down the street in a van with four other teammates hanging out the windows and back door. Even the smallest details such as the thieves occasional "middle finger" when spotting a cop. 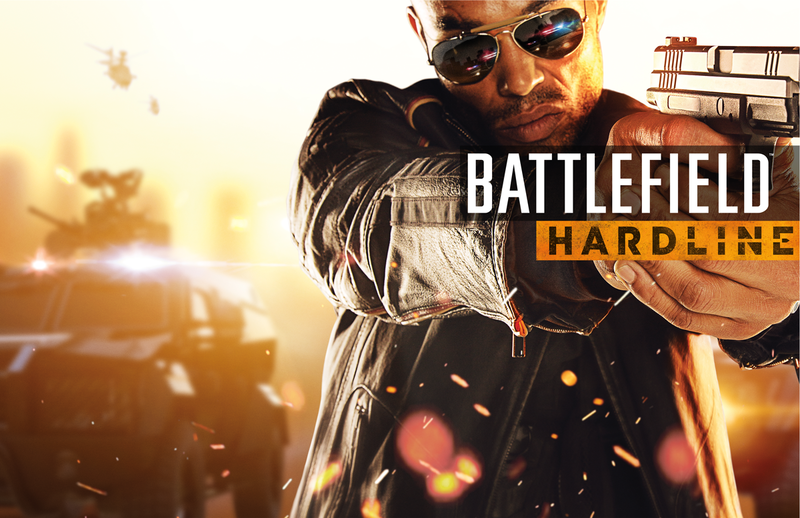 It all really makes Hardline stand out as something new and different, which is a good thing. One of the most overlooked new features of Battlefield Hardline is the fact that you now sprint faster with a secondary equipped versus a primary. A first in the Battlefield series and it's about time too. How many of us ran around with pistols in Battlefield 3 or Battlefield 4 simply because it seemed like we should be going faster. Well, now you actually do. One of the biggest issues with previous Battlefield games came when teammates wouldn't drop First Aid Packs or Ammo Boxes. Now when you are running low on health or ammo, you can simply walk up to an Operator (Assault) or Enforcer (Support) and press a button to take it from them directly. A genius move in my opinion. Now everyone isn't forced to play the same way. If someone wants to be a lone wolf and not drop any support items, fine, just take it from them. I sense this change will come with mixed opinions. 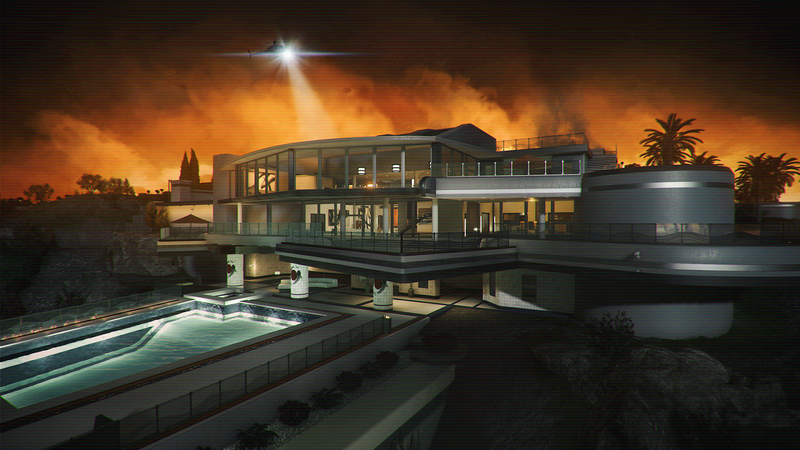 The maps in Battlefield Hardline are still fairly big, but when compared to previous Battlefield maps they are much smaller. Not only are Hardline's maps smaller but there are a lot of mechanics that allow you to get around the map much faster. The previously mentioned sidearm sprinting, ziplines, grapple hooks, and the usual slew of vehicles. Aside from Dust Bowl, which seems like the games largest map, you will rarely find yourself sprinting long distances to reach the center of the battlefield. Finally, the biggest change to Hardline's multiplayer is the decrease in large, powerful vehicles. Tanks and Jets were completely removed from the multiplayer. That isn't to say they won't be added in future expansion packs, but as of now they are nonexistent. The only other large vehicle is the Helicopter. While still appearing in Hardline, there are much less helicopters in a single match compared to previous Battlefield games. In Battlefield 4 it was not unusual to see three or four Helicopters flying around during a game of Conquest. In Hardline you'll probably only see one, maybe two. The new heavy vehicles are the Counter Attack Trucks and the Mobile Spawn Points. Both are very durable yet pale in comparison to the classic Abrams. 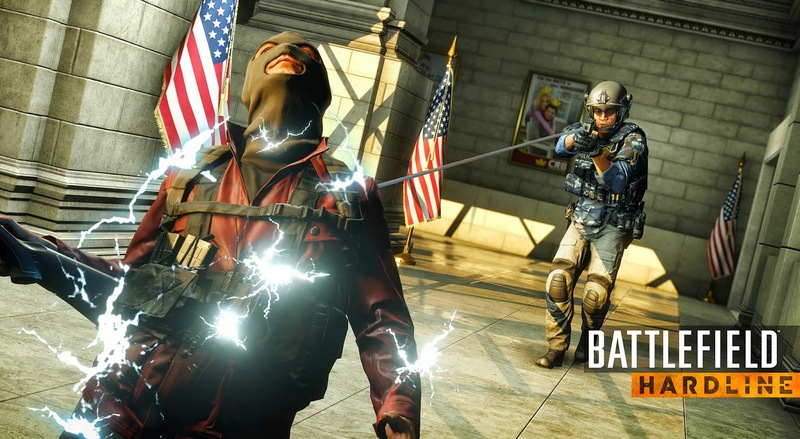 Those are my 5 Biggest Changes to Hardline's Multiplayer. Let me know what you think about Hardline below and keep an eye out for my full review.